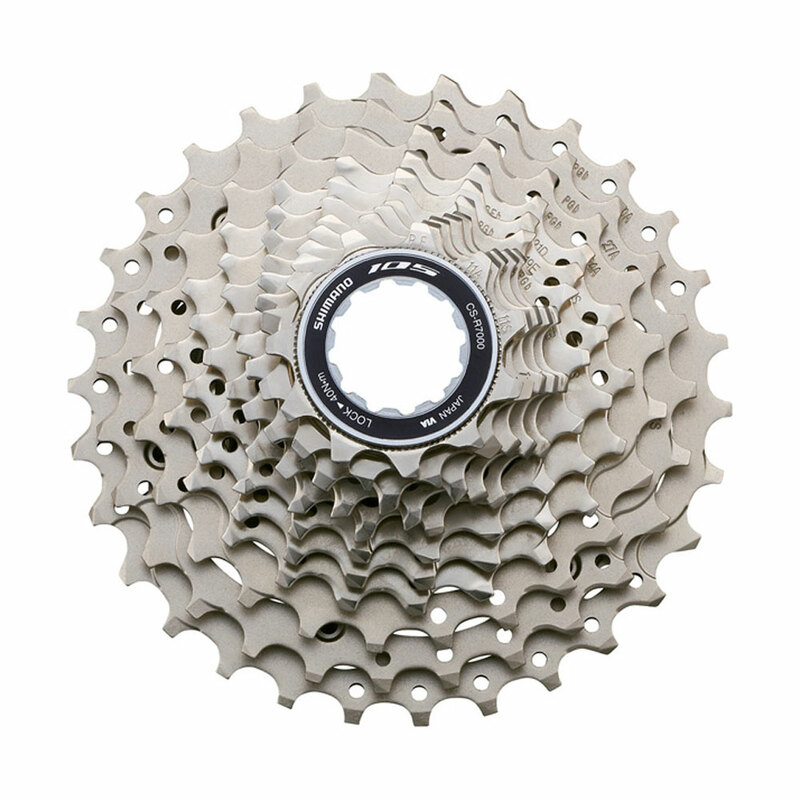 The 105 HG700 11-speed Cassette is a durable, lightweight offering great value for money. Featuring an aluminium spider arm, nickel plated steel cogs, and a steel lock ring, this Shimano cassette provides exceptional longevity, no matter the conditions. Upgraded from an 11-28 cassette to 11-30 on a short cage shimano 105 rear derailleur. It worked without any problems. High quality piece of kit, looks great, very durable and the gears changes are as slick as other cassettes in the Shimano range. Good value. I am really happy Shimano finally offered the 34-tooth 11-speed cassette at the 105 level. It may weigh a couple of grams more than the Ultegra cassette but I can't tell the difference in shift quality at a better price. Have been using shimano 105 for years. Bought R7000 rear derailleur (medium cage) together with 11-34t for easier climbing. Smooth shifting. Recommended! Only a few grams more than an Ultegra cassette, so why pay more, It also still retains the same performance of the shifting as the Ultegra. Solid build for my CX bike! No issues and shifts smoothly with the 105 medium cage derailleur! And it's big enough for me to tackle long hills without utilizing the biggest cog (11-34)! Would by it again next time around!! I bought the 12-25, in addition to the 11-30 which I specified with the Cordite bike, to give me a closer set of ratios when not in hilly terrain. Tried the 12-25 out on the local cyclo park and pleased with product. Easy to fit and faultless changes. I don't see the point in spending extra on an Ultegra cassette when this does the same job. I have run both and cant tell any difference in shifting. This cassette is fantastic! Shifting is even smoother than the 5800 (5800 is really good, so this says a lot), so this chick can drop the boys on the climb even quicker! I honestly can't tell the difference between this and my more expensive Ultegra cassette. It's a bit heavier, but not enough to be noticeable. Shipping from Merlin is always top-notch, even across the pond to Canada...during postal strike. Never difficult for me to give praise to Shimano products, been using their components for many years, both on my road and off road bikes. And they have always served me well. This latest purchase is the upgraded 105 CS-R7000 Cassette and runs smoothly with the Ultegra Rear Derailleur on my CX bike. Good value from Merlin, whats not to like about it. Cannot knock Shimano 105 gears, built to last. Now with the R7000 it just gets better, seems to be lighter and positive in gearchanges.